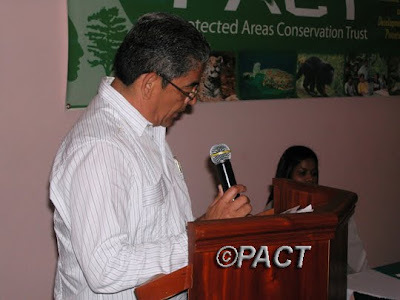 Belize City, Belize, October 6, 2010 - The Protected Areas Conservation Trust (PACT) is proud to announce investments of $250,000 in new grants. 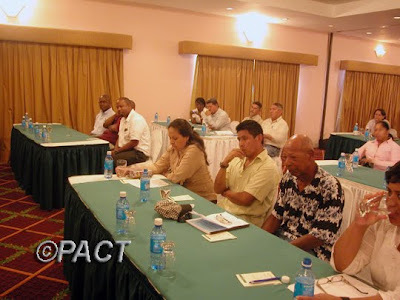 On Wednesday, October 6, 2010, PACT awarded grants to the Belize Fishermen Cooperative Association, Friends for Conservation and Development, Restore Belize and Ya’axché Conservation Trust at a short Media Briefing held at the Best Western Biltmore Plaza in Belize City. PACT grants programme was established in 1997 to provide grant funding to our protected areas system. The following four grants have been identified as priority areas of investments by key stakeholders and the PACT Board. $100,000 will be invested in key biodiversity areas of the Maya Mountains via the Ya’axché Conservation Trust (YCT) and the Friends for Conservation and Development (FCD) for management of the Bladen Nature Reserve and Chiquibul National Park respectively. This investment seeks to enforce a structured biodiversity research and monitoring program for the Bladen Nature Reserve and address the threats from illegal incursions to the Chiquibul Forest, the largest protected area in Belize. Our partnership with Restore Belize is a unique one in that it is a one-time investment and geared to providing high school scholarship aid to many young men and women who would not otherwise have the opportunity attend high school. In addition, the efforts are geared toward affording these children an opportunity to visit our protected areas and instill in them a sense of ownership of our natural and cultural resources. The Restore Belize Programme was established in June of this year by the Government of Belize with the goal of making Belize a safe home for its residents. 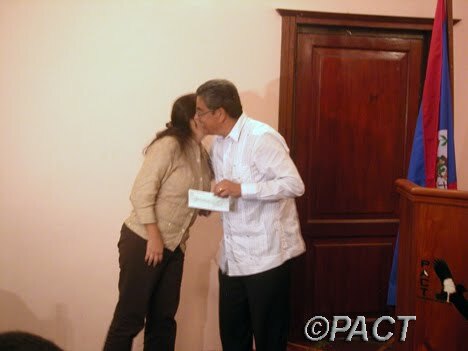 Lastly, $50,000 was awarded to the Belize Fishermen Cooperative Association to strengthen their capacity for a greater level of fishermen participation in the fisheries management. The institutional strengthening of the Belize Fishermen Cooperative Association is important to us since the membership of this association utilize our marine protected areas. Therefore, by strengthening this organization they will be able reach out to over 1,200 fishermen throughout Belize and provide the necessary training in best practices. These investments today bring PACT’s total investment since January 2010 to 1,637,069.18. PACT serves as a key partner in financing biodiversity conservation with clear and tangible benefits to the natural heritage, economy and people of Belize. 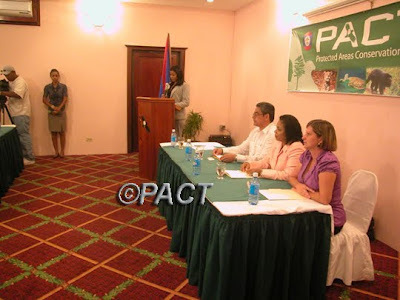 As Belize’s National Trust, PACT continues to promote sustainable management and development of Belize for the benefit of all Belizeans. PACT takes this opportunity to thank its constituents, especially its grantees, mission partners and visitors for their commitment and continued efforts to sustainably manage our natural resources.